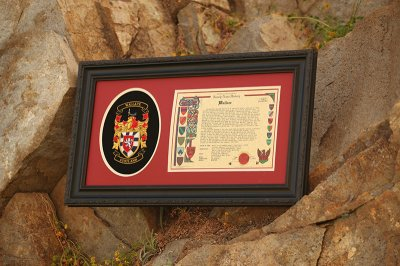 The Single Embroidery Set comes complete with a family name history and embroidered coat of arms framed together. Your family name history includes your families country of origin, the meaning of your name, and authentic historical records. 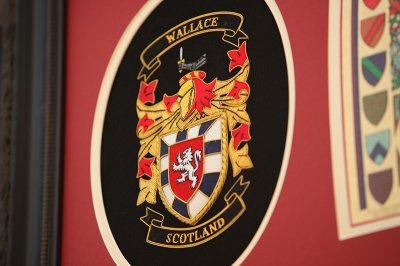 Your coat of arms is hand-stitched and uses gold and silver bullion thread with french silk. 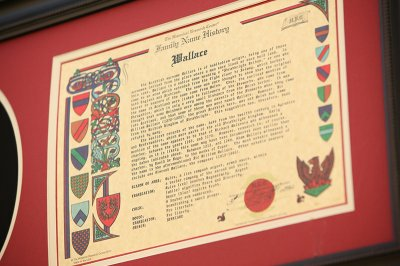 Each family history includes a Seal of Authenticity. The price of shipping is included.